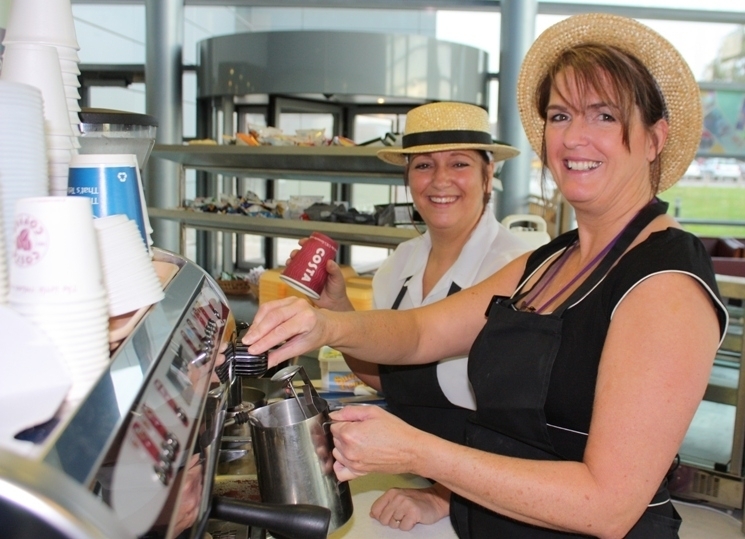 “When I first arrived at the Trust I couldn’t get a decent coffee anywhere and so was really pleased to have facilities in my remit and be able to influence the decision to move towards bringing Costa to the Trust. “Four years later we have several outlets all doing a great job and when the opportunity to do a ‘non nursing’ Back to the Floor came up it seemed the obvious place for me to go. “Little did I know that in order to work in Costa I would have to do Food Safety Training and equipment training! “Suitably educated I arrived at 8am on a Friday morning to a very welcoming Catering Supervisor – Wendy Farley and a skinny latte! “I’m sure I was more of a hindrance than a help and I have to thank Wendy for her tolerance of me, but I can honestly say I had a great time. “The day before the Trust had been in all of the national news because of the CQC report and escaping to the relative peace of Costa was really welcome!